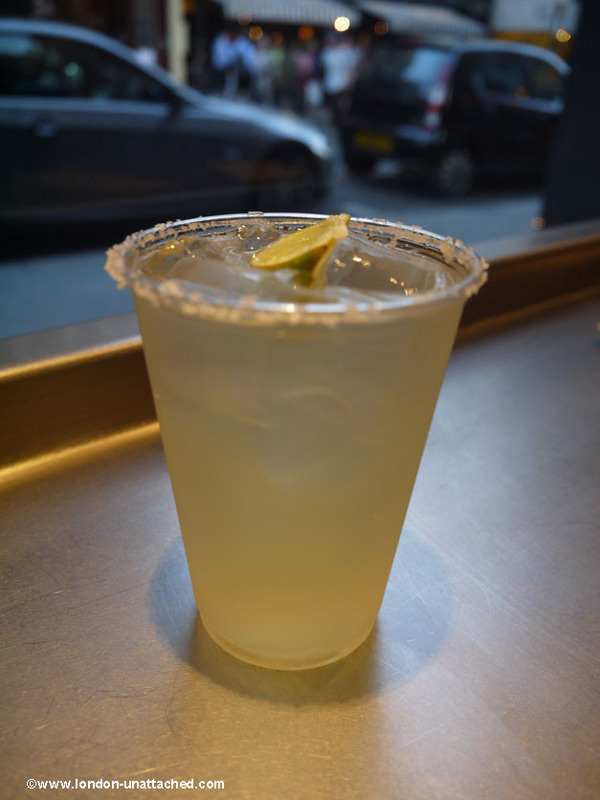 Chipotle St Martin’s Lane – Tex-Mex all the way from the USA. Gentle reader – a blogger in a chain restaurant? what is the world coming to? Given some of my reviews it might suprise you to know that not only do I eat in chain restaurants, there are some I really like. Of course I love fine dining. And, I enjoy hip and trendy street food from time to time. I like exploring and finding new places to eat too. But, there are some real advantages to restaurants where quality control comes from head office and where the ingredients are centrally sourced. What it means it that if you are somewhere new and you need to eat, you are pretty much assured of a reasonable meal if you can find a chain that you like. And of course the central buying ensures prices are kept low. 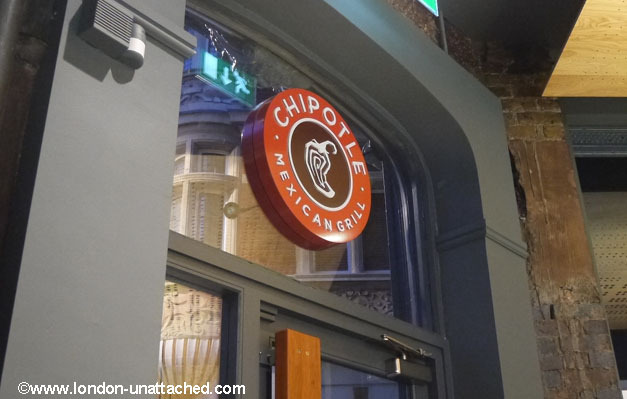 Chipotle is relatively new in the UK and I was invited along to review their food. It’s a well known American brand and prides itself on using ingredients from ethical sources. Apart from loving the music – I REALLY like this little animated video which for me encapsulates the principles behind food sourcing for the Company. But you know an advertising video is one thing, reality is another…so I was keen to go along and try for myself. We went on to taste the ingredients that were used to make up the relatively short menu of Tex-Mex food. For me, that meant quite a lot of meat because my dining companion doesn’t eat any. We were told that the ingredients are mostly UK sourced but follow the same principles as the American group of using humanely raised meat. It was very good. My only criticism would be that I found it a little heavy on salt. Or maybe that was the margarita? Or the fact that my dining companion ate almost all the guacamole (which was lovely!) and which would have countered some of the saltiness of the beans and bacon and the rubs on the meat. 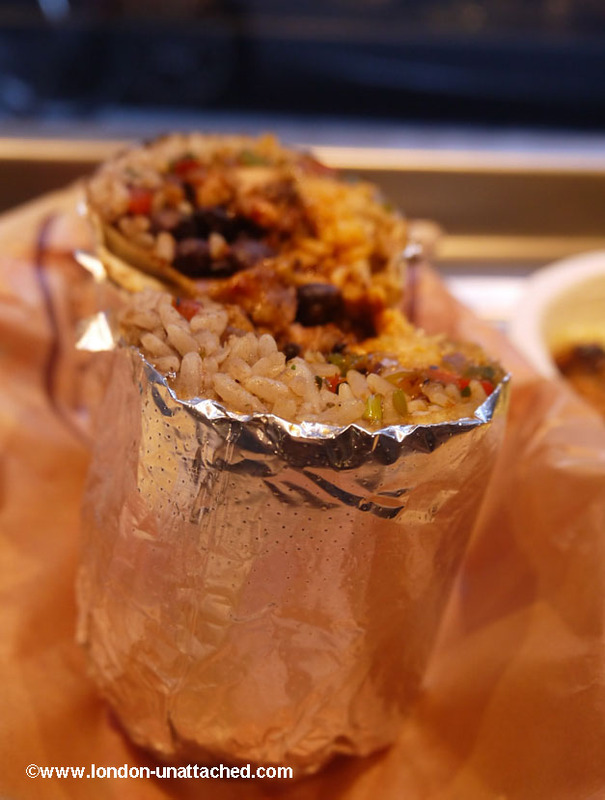 Having munched my way through samples of all the meat – very tender beef with a nice barbecue crust, pulled pork and yet more chicken, I could do nothing more than look on at the burrito roll. 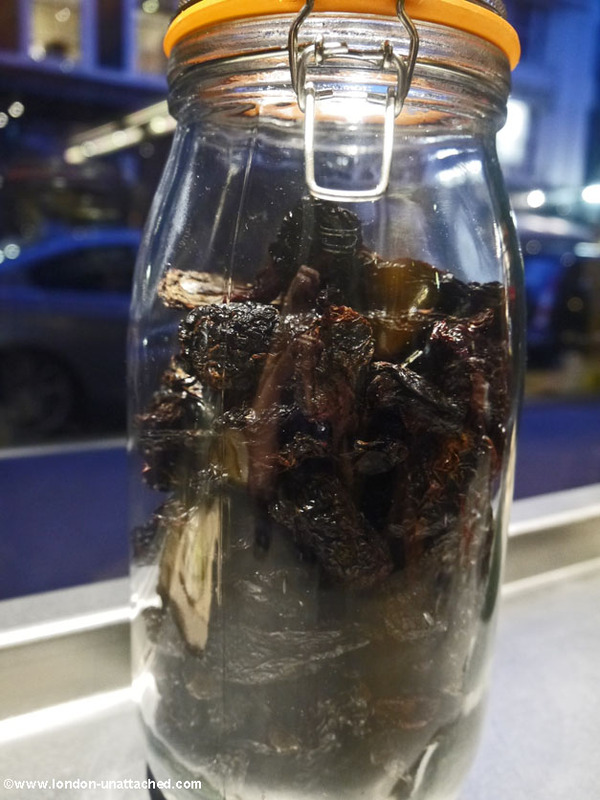 We asked about food preparation – all done in-house, we were shown jars of chipotle peppers – so fabulously smokey I wanted to dive in and take some home with me (those ARE shipped from the States) and the largest avocado masher in the world. Our host told us that one batch of guacamole uses about 220 avocados – and they make several batches each day. All in, this is somewhere to get good quality, fresh, cheap fast food. There are healthy options if you are watching your figure in the form of salads and burrito bowls. It’s fun. 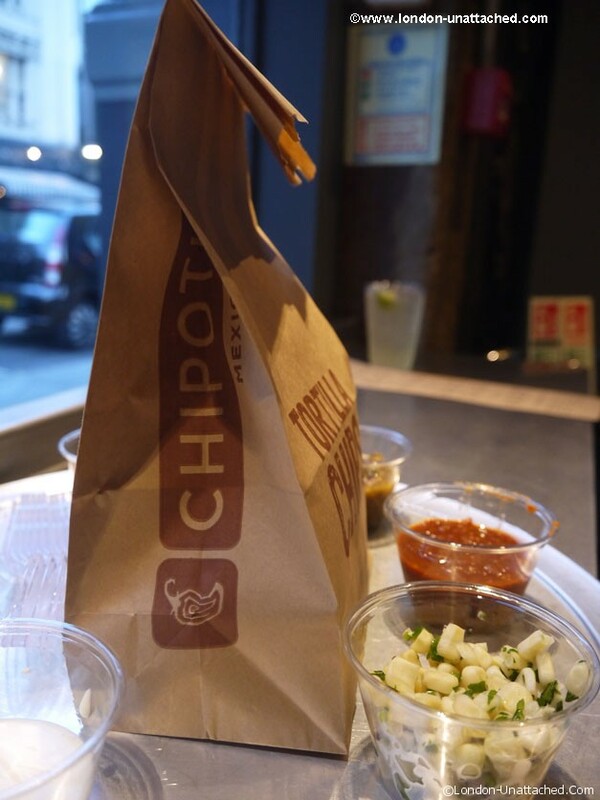 There are five Chipotle Restaurants in the UK at the moment, all in London – in Charing Cross, Wardour St, St Martin’s Lane, Islington and Baker Street. And, I’m sure there will be more.